Strategy is a much-abused subject. An online search of the word alone produces over 93 million references. A similar search on a popular retail site shows that there are over 120,000 books written about it. So, there is no shortage of opinion on the topic, but are they any help? How many times have you bought an earnest book on strategy and not finished it because it was too long-winded? A good strategy needs to be short, clear, and easy to understand. Smart, and original if possible. This book offers fifty ideas to help you arrive at decent strategic thinking as fast as possible, and presents it in a way that we can all understand. It covers seven of the most common strategic areas that affect businesses: commercial, brand, customer, sales, people, innovation, and communication. So that means getting the initial big idea right, and working all the way through to explaining it well. According to Lafley & Martin, authors of Playing To Win, strategy is not complex, but it is hard, because of the pain of having to make choices. This is not the strategy – it’s just a start. What are you hoping for? Choose the markets, categories, and product areas where you can compete effectively. Exclusions are helpful – don’t start multiple wars against competitors when you can’t win. How will we win in chosen markets? Look at cost and differentiation. Is the company or product as good as you think it is? Many businesspeople have a rose-tinted view of their own products, and overestimate their potential. What capabilities must be in place to win? Create an activity system that will do the job. If the company can’t currently do this, look carefully at required resources and investment. What management systems are required to support the choice? Has the company or department got the right grown-ups at the top, enough troops on the ground to do it, and a system to make it all work? Make those decisions, and you have made a start on a decent commercial strategy. Making everything a priority is a big mistake. Strategy is all about choosing one thing over the other. If your strategy runs to a huge document or presentation including everything plus the kitchen sink, then it probably won’t work. If you try to do it all, you won’t achieve any of it. If you are about to write a strategy, limit yourself to one page. If you have already written one, take a highlighter pen and use only the best bits. Then re-draft it on one page. Smart strategy is clear and simple. Strategy expert Max McKeown believes that thinking before you plan is vital. Strategists who don’t take time to think are just planners. What do we think is possible? What do we need to do to achieve our goals? When should we react to new opportunities and adapt plans? Inspiration and insight can be drawn from looking forward, backwards, and outwards, which often means blending smart prediction with past experience, and astute observation of what’s happening outside the company and the category. Strategists need to know what stage their company, industry, products and services have reached. What crises have they survived? What will be next? Survival is a priority, but growth is better. How has the company grown in the past? What can fuel it in the future? Which markets and products could offer the greatest potential? Just doing what you did last year isn’t imaginative enough. This wide-ranging questioning must come before any semblance of a plan is constructed. Don’t just dive in and write a plan. Many individuals and companies are fooled by plans. They think that because it is written down in an impressive way, then it must be a good strategy. This is sometimes called the spurious authority of type. Somehow it all seems more convincing when it’s typed up. But that doesn’t mean the strategy is any good. If you are drafting a strategy, use a pen and paper. The very last thing you should do is to make it look pretty. 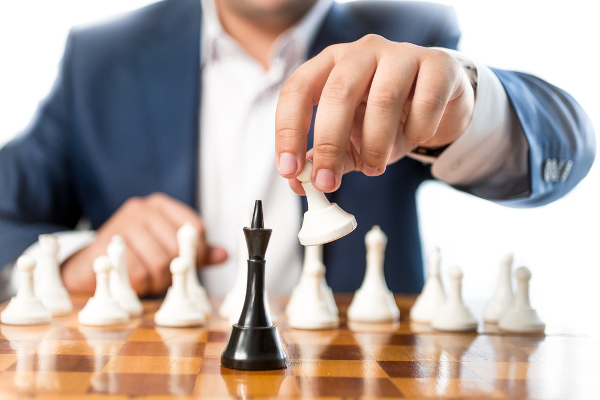 Are you staring at a strategy that looks impressive but lacks proper substance? If so, rip it up and think of something more original and effective. Kevin is a business adviser, marketing expert, motivational speaker and author. 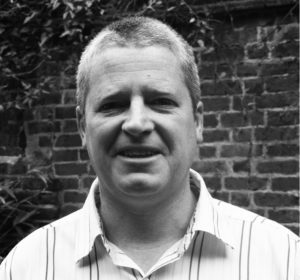 After 20 years in advertising, he has spent the last eighteen as an independent troubleshooter, advising companies on how to change their businesses for the better, via change management programmes, training, facilitation, and non-exec work.